By accessing the website at http://Insidestylists.com, you are agreeing to be bound by these terms of service, all applicable laws and regulations, and agree that you are responsible for compliance with any applicable local laws. If you do not agree with any of these terms, you are prohibited from using or accessing this site. The materials contained in this website are protected by applicable copyright and trademark law. This license shall automatically terminate if you violate any of these restrictions and may be terminated by Inside Stylists at any time. Upon terminating your viewing of these materials or upon the termination of this license, you must destroy any downloaded materials in your possession whether in electronic or printed format. The materials on Inside Stylists’s website are provided on an ‘as is’ basis. Inside Stylists makes no warranties, expressed or implied, and hereby disclaims and negates all other warranties including, without limitation, implied warranties or conditions of merchantability, fitness for a particular purpose, or non-infringement of intellectual property or other violation of rights. Further, Inside Stylists does not warrant or make any representations concerning the accuracy, likely results, or reliability of the use of the materials on its website or otherwise relating to such materials or on any sites linked to this site. In no event shall Inside Stylists or its suppliers be liable for any damages (including, without limitation, damages for loss of data or profit, or due to business interruption) arising out of the use or inability to use the materials on Inside Stylists’s website, even if Inside Stylists or a Inside Stylists authorized representative has been notified orally or in writing of the possibility of such damage. Because some jurisdictions do not allow limitations on implied warranties, or limitations of liability for consequential or incidental damages, these limitations may not apply to you. The materials appearing on Inside Stylists’s website could include technical, typographical, or photographic errors. Inside Stylists does not warrant that any of the materials on its website are accurate, complete or current. Inside Stylists may make changes to the materials contained on its website at any time without notice. However Inside Stylists does not make any commitment to update the materials. Inside Stylists has not reviewed all of the sites linked to its website and is not responsible for the contents of any such linked site. The inclusion of any link does not imply endorsement by Inside Stylists of the site. Use of any such linked website is at the user’s own risk. Inside Stylists may revise these terms of service for its website at any time without notice. By using this website you are agreeing to be bound by the then current version of these terms of service. The category you wish to be under has limitations. Please check you are at the correct level you wish to be listed under. Anyone not reaching the requirements will be listed under assistants until the level has been met. Interior stylists need to have been the lead stylist on at least four editorial or commercial photo shoots and not be assisting anymore. If you have written four features that have been published in editorial publications then you might want to consider being under the writers category until you have reached this level for stylists. Interior designers/window dressers and other careers in the interiors field but not styling will need to be listed under assistants until they have completed the above level of interior styling requirements. Writers must have been published in at least four editorial publications to be listed under the writers category. Until you have reached this level you will need to be listed under the assistants category. Assistants can be listed under this category from day one of their styling and/or writing career. You will be able to share how much experience you have and what areas you would like to work in. Testimonials from stylists and editorial members you have worked with will benefit assistant listings. Any person wishing to move categories must email emma@insidestylists.com to notify the request to change and the account will be verified and then considered for change. The category you wish to be under has limitations. PRs may only share contact details for the brand which they have subscribed to InsideStylists.com. Sharing the PR agency details for a brand is allowed on the brand’s post. Only subscribed brands are able to share their image library links. Pages for external image libraries with the brand’s images on cannot be shared in the library unless that external image library is already subscriber. Please contact hello@insidestylists.com to confirm submissions. Only subscribed brands can share press launches and event on the event calendar. Events must be submitted using the event submission form for inclusion. Allow five working days for the event to go live on the event calendar. Events for non-subscribed brands can be accommodated. Contact Hello@insidestylists.com for more details and prices. All orders and bookings made to InsideStylists.com for Advertisements or Insertions are subject to and governed by these terms and conditions. InsideStylists.com does not make any warranty or representation as to the accuracy or fitness for purpose of any service on the website or the reliability of the access to the services. The websites is normally available 24 hours a day, InsideStylists.com shall not be liable if for any reason the websites is unavailable at any time or for any period. Access to the websites may be suspended temporarily and without notice in the case of system failure, maintenance or repair or for reasons beyond Loot control. By submitting any material to InsideStylists.com, you automatically grant InsideStylists.com the royalty-free, perpetual, irrevocable, exclusive right and license to use, reproduce, modify, edit, adapt, publish, translate, create derivative works from, distribute, perform and display such material (in whole or part) worldwide and/or to incorporate it in other works in any form, media, or technology now known or later developed for the full term of any rights that may exist in such content. You acknowledge that InsideStylists.com is not obliged to publish any material submitted by you. By submitting an advertisement to InsideStylists.com you automatically agree to be bound by the Advertising Terms and Conditions. In these terms and conditions (the “Advertising Terms and Conditions”), (a) “the publisher” means InsideStylists.com of 44 Beechfield Rd, Bromley, Kent, BR13BU, the publisher of Inside Stylists (b) “buyer” means the person placing the order to insert the advertisement on the Shoot Services pages within InsideStylists.com, whether such person be the advertiser of the product/service (the ‘advertiser‘) or the advertiser‘s advertising agency or media buyer; (c) an ‘advertisement‘ means the matter to be published or separately inserted. The publisher offers the service of publishing advertisements on the InsideStylists.com Shoot Services page. These advertising terms and conditions apply to advertisements published on InsideStylists.com Shoot services pages inclusively. Where the buyer and the advertiser are different persons, the buyer warrants that it is properly authorised to place the advertisement on behalf of the Advertiser. The copyright for all purposes in all artwork, copy and other material which the publisher or its employees have originated or reworked shall vest in the publisher. The buyer grants the publisher a licence to reproduce on InsideStylist.com all material not so vesting unless specifically agreed otherwise. The buyer agrees to check the correctness of the advertisement. Any complaint, whether about the advertisement or the details contained in the invoice or email confirmation of booking (as the case may be), must be raised with the publisher within 7 days of publication or receipt of invoice or email confirmation of booking (whichever is the earlier) and will not affect the liability for payment at the due time. The buyer will indemnify the publisher and keep it indemnified against all claims, costs, proceedings, demands, losses, damages, expenses or liability whatsoever incurred by the publisher arising directly or reasonably foreseeably as a result of any breach or non-performance by the buyer of any of the representations, warranties or other terms herein contained or implied by law. 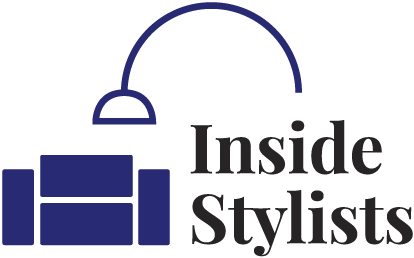 The publisher shall provide an invoice for each advertisement on InsideStylits.com and to provide an email confirmation of booking for each advertisement placed on InsideStylists.com. The publisher will endeavour to reproduce and prepare colour and mono advertisements as requested but cannot guarantee that reproduction will meet its normal standards. In any event the publisher shall have no liability where the buyer has supplied material not in accordance with the publisher‘s specifications as set out in the booking form on line or as available on request. The publisher may decline to publish, or omit, suspend, edit, change the position or require amendment of all or any part of any advertisement accepted for insertion. The publisher is not obliged to publish any advertisement on a particular day or in a particular position. The publisher will not be liable for any loss of copy, artwork, photographs or other materials. The buyer warrants that it has retained copies and the originals of advertisements. (a) A “consumer” buyer as defined in the Regulations may cancel the placement of an advertisement at any time up to the expiry of seven working days beginning with the day after the day on which the “consumer” buyer places its order for an advertisement. However, the “consumer” buyer accepts that if the publisher commences providing services in relation to the placing of the advertisement prior to the expiry of such seven day cancellation period with the “consumer” buyers agreement, the “consumer” buyer will lose his or her right to cancel. To simplify, the “consumer” buyer agrees that in respect of advertisements on-line the publisher will start to provide services as soon as the advertisement is visible on-line. In either case the “consumer” buyer accepts that he/she will not have any right to cancel the advertisement unless the publisher is notified prior to the commencement of service provision. Upon cancellation, the buyer shall be entitled to a full refund. If the buyer is deemed unable to pay its debts within section 123 of the Insolvency Act 1986, this may be treated as a cancellation. Without prejudice to the publisher‘s entitlement to be paid, in the event of any error in the publishing of the advertisement caused by the act or omission of the publisher, the publisher at its sole discretion may either re-insert the advertisement or make a reasonable refund of or adjustment to the cost. No re-insertion, refund or adjustment will be made where the error, misprint or omission does not materially detract from the advertisement. These Advertising Terms and Conditions apply to advertisements published within the InsideStylists.com portfolio. The placing of an order for an advertisement amounts to an acceptance of these terms (including any additional matters set out in the booking form at time of placement) to the exclusion of any other terms and conditions. No variation shall be binding unless agreed in writing. If any provision of these terms is held to be void or unenforceable in whole or in part, these terms shall continue to be valid as to the other provisions and the remainder of the affected provision. No waiver by the publisher shall be effective except in relation to the matter in respect of which it was specifically given. The publisher may for its own benefit enforce in its own right any of these terms subject to and in accordance with the provisions of The Contracts (Rights of Third Parties) Act 1999. Except as provided by this clause, nothing in these terms is intended to confer on any person any right to enforce any provision of these terms which that person would not have had but for the Contracts (Rights of Third Parties) Act 1999. These terms shall be construed under and governed by the laws of England and the parties hereby submit to the non-exclusive jurisdiction of the English Courts.